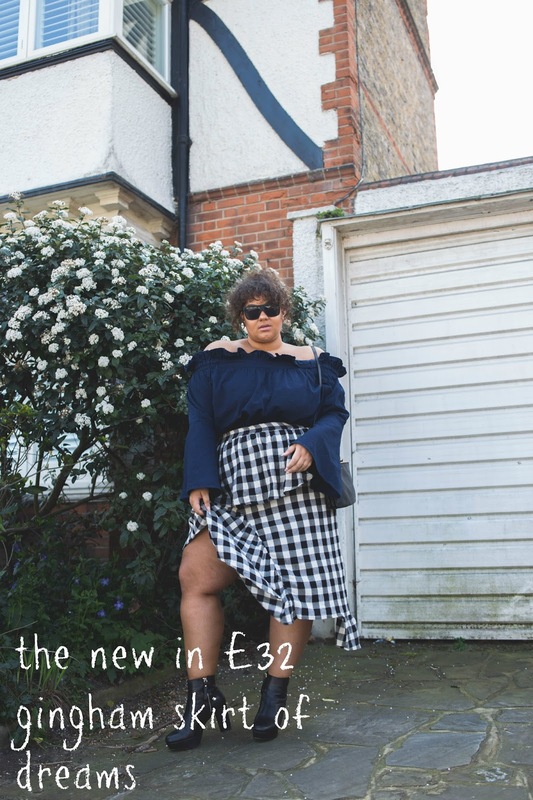 Last week I decided to have an entire wardrobe overhaul (without buying any new clothes). I’m poor at the moment because I’m waiting on about 17,839.80240 invoices lol plus I’m moving this weekend and sweet baby Jesus the deposit and fees on my new place were expensive af. 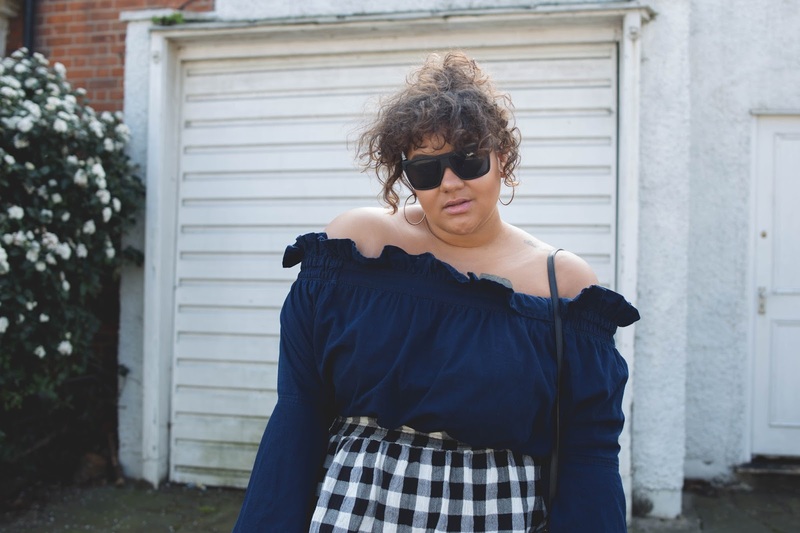 However, I’ve been struggling to put together any half decent outfits (turns out hoodies and leggings aren’t acceptable to wear everyday) and whenever I looked through my clothes, I hated everything! I just needed some inspo but didn’t want to spend any money. I decided to take everything out and have one giant purge. I got rid of the stuff that wasn’t ‘me’ anymore, I didn’t like or didn’t fit. 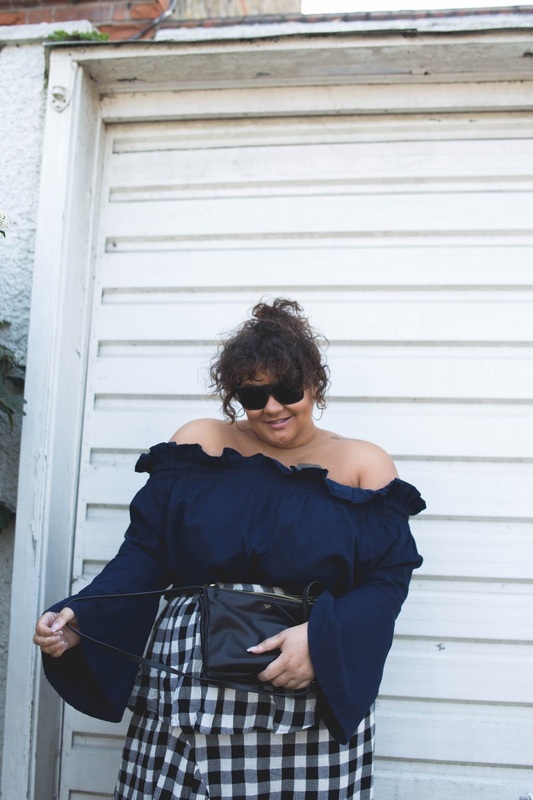 If I decided to keep something, I had to make sure it could be worn at least 3 different ways. It took me 12 hours and I still haven’t done my dresses but nonetheless, I have a more interchangeable wardrobe and I know that everything fits and looks the way I’d like it too. 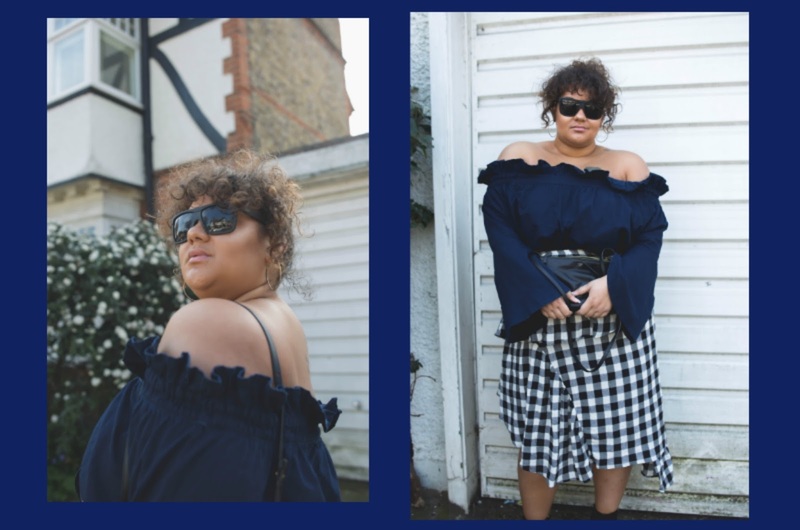 Its given me more time in the mornings, less stress when I have a last minute thaaaang to do AND, choosing outfits to shoot for my blog is a much more pleasurable experience. 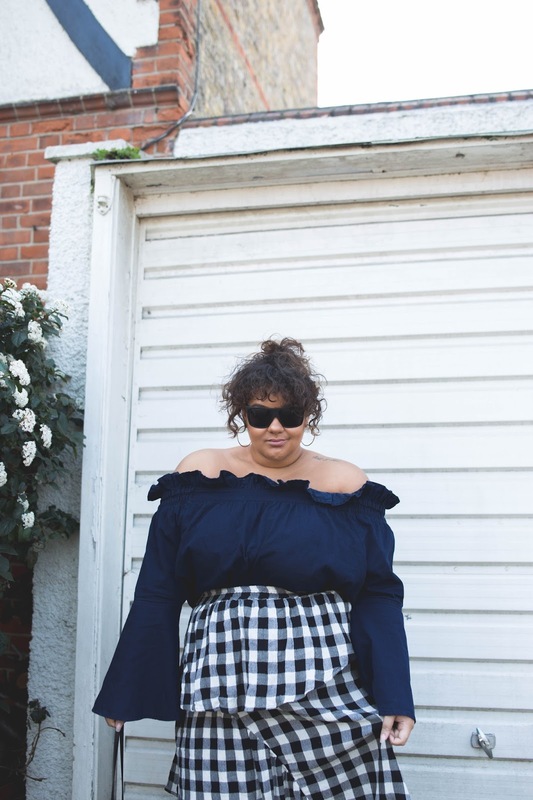 So with all that being said, there is going to be even more fashion/personal style content on my site, starting with a post all about this amazing gingham skirt from ASOS. Isn’t it a dreaaaaaam? 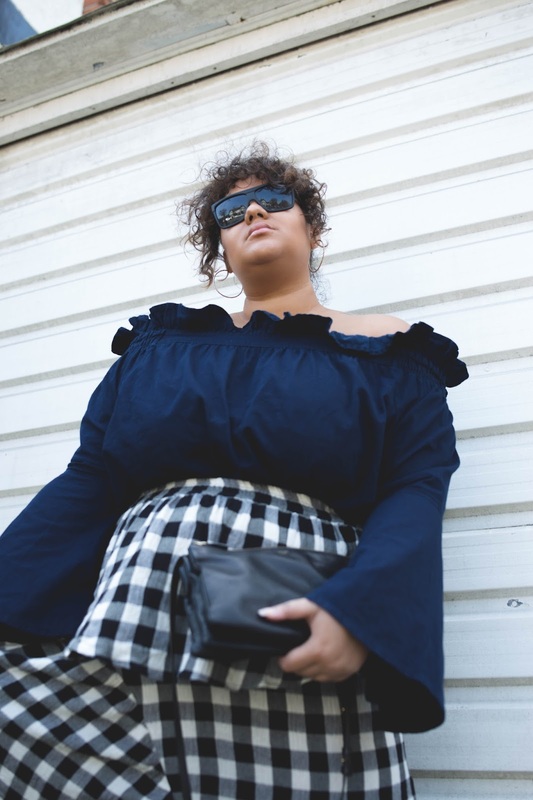 The gingham trend is SO hot this season, with all the high street & online stores like Boohoo, Topshop & New Look producing some amazing pieces. 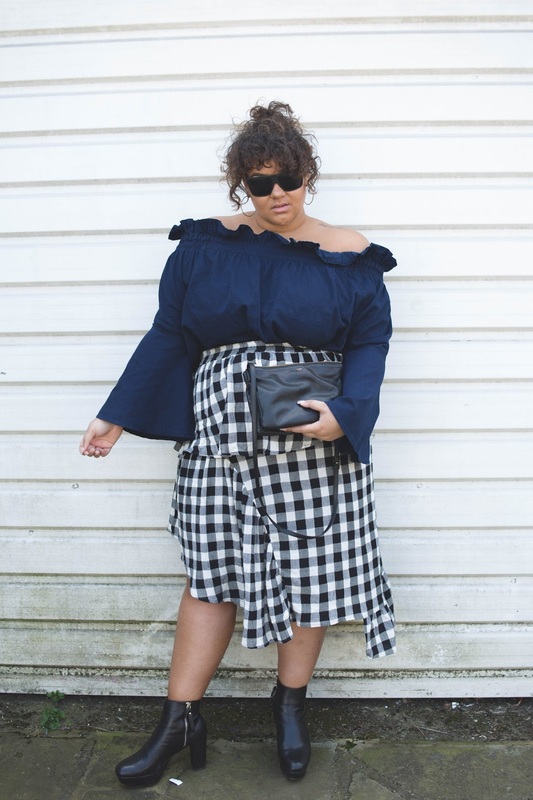 This gingham skirt in particular is deconstructed with a slight paperbag waist and I am o b s e s s e d. Its so flattering and the ruffles fall in such a nice way – sort of like a waterfall. 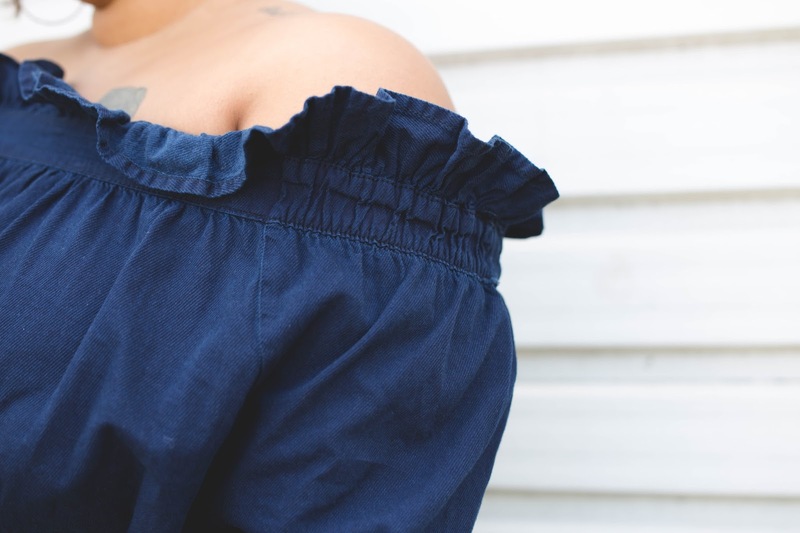 I paired it with this denim bardot top that also has ruffles and although it might be a bit too much for some, its just enough sass for me lol. In terms of footwear, I reckon you can wear pretty much anything. From plimsols to Vans, from Stan Smith’s to boots – and on this occasion I’ve opted for boots. I like the height these platforms give me, plus they’re really easy to walk in and they’re super comfortable. 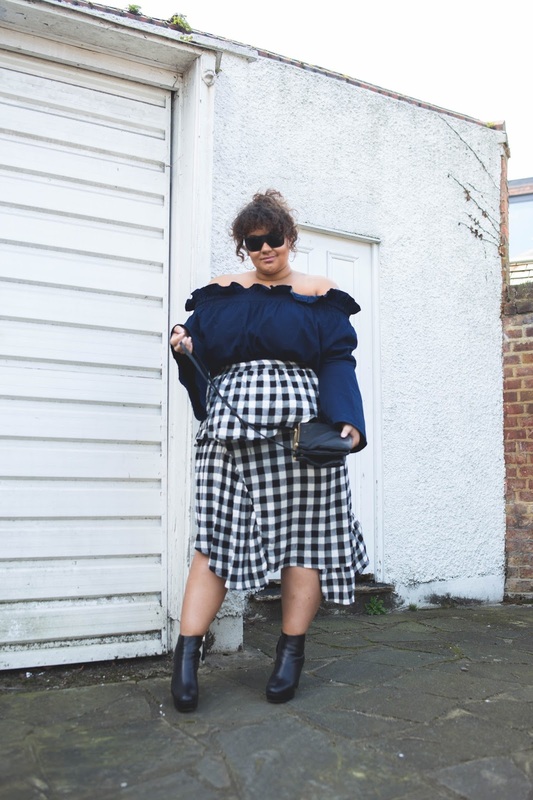 Wow 12 hours of clearing out your wardrobe! 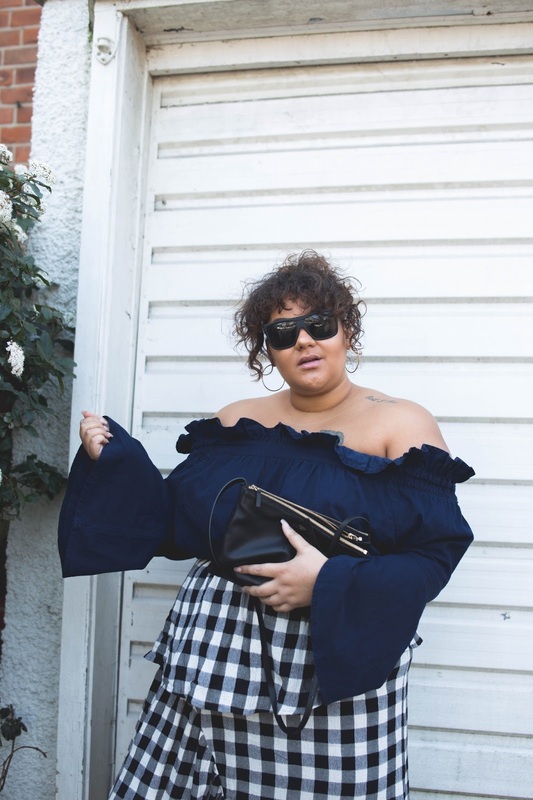 I would love to read a whole post about your wardrobe overhaul! 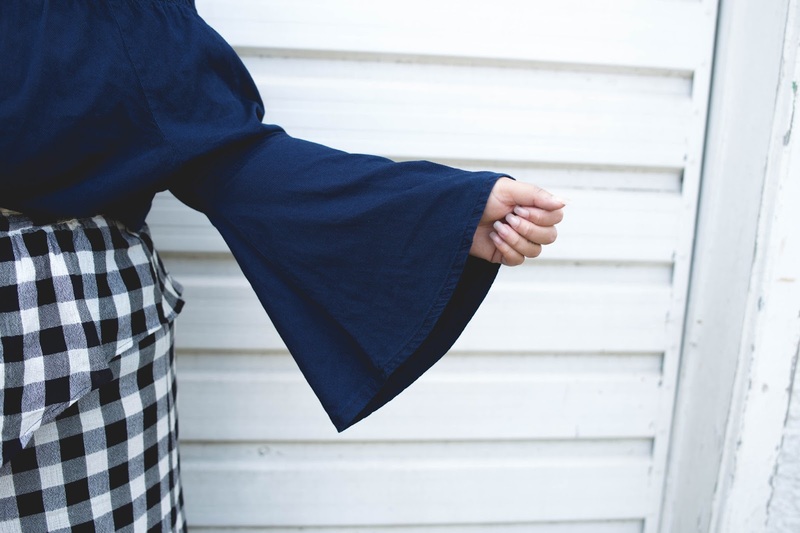 It’s great that you now have a wardrobe full of items you like and can mix and match with.. I need to do that to by wardrobe.. 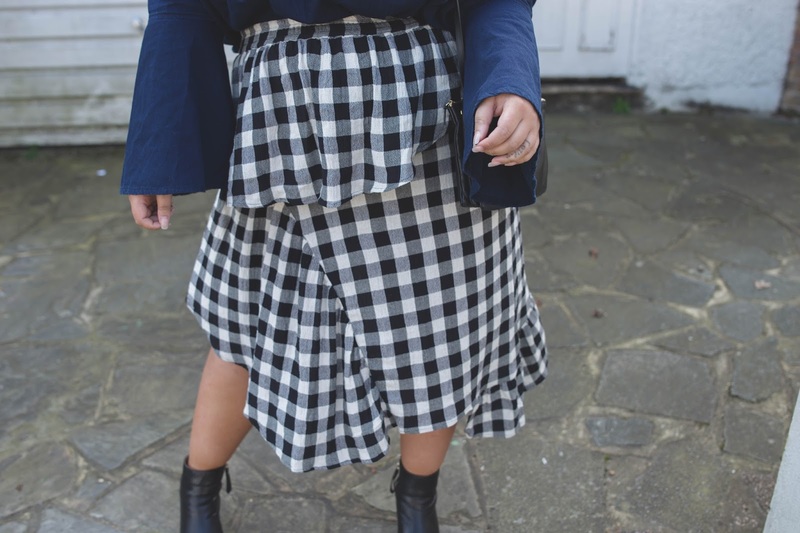 I need that skirt in my life!! Well, You are looking gorgeous with this white and gray outfit,I am too many time visited in your post and always I become very happy to read your such types of post, Keep It Up.